Commentary: Why Panama? – Panama Gateway International Association, Inc.
From a logistics and distribution perspective, the answer seems to be “why not?” Due to its central location, robust distribution platform, and world-class logistics facilities, Panama appears to be a natural partner for any international company. In many cases, a redistribution hub in Panama allows these organizations to increase distribution speed, enhance customer service, and decrease inventory costs. However, before making the investment in Panama, companies must evaluate if it is the right business decision. To aid in this process, the Why Panama? project was born. A partnership between the Georgia Tech Panama Logistics Innovation & Research Center (GT Panama) and Proinvex, Panama’s Agency for Investment Attraction and Export Promotion, the Why Panama? project provides the necessary information and analysis to help companies decide if a redistribution hub in Panama makes financial sense. The Why Panama? tool was developed by professors at ISyE and researchers at GT Panama, many of whom are also Georgia Tech alumni. According to John Bartholdi, co-executive director of GT Panama and ISyE Manhattan Associates/Dabbiere Chair and professor, the tool compares the cost of in-transit inventory when distributing directly from the origin or through an intermediate site, such as Panama. This initial result gives executives an idea of whether Panama should be included in the short list of potential locations for a redistribution center. After running the tool, companies can also reach out to the government of Panama to further discuss partnership, and GT Panama can serve as a neutral third party to provide additional analysis to help with the decision. Launched in 2010 and fully funded by the country of Panama, GT Panama provides logistics tools and strategic research to “aid in developing the logistics and trade capabilities that will enable Panama to become the trade hub of the Americas.” It serves as the technical arm of the Panamanian government’s Logistics Cabinet and is led by Ratliff and Bartholdi. 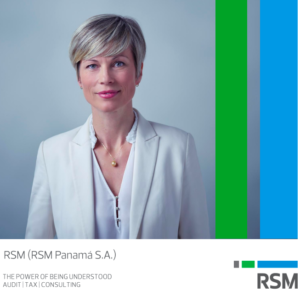 What makes GT Panama unique is that the research conducted is to help an entire country, rather than a single company, which leads to greater impact. In addition to the Why Panama? project, the GT Panama team is conducting research in numerous areas to help benefit the country, including a Panama Logistics Portal, Panahub Portal, Logistics Cabinet Dashboard, and analysis of urban logistics and public transportation to help ease traffic congestion. Published with permission of the Georgia Tech Supply Chain and Logistics Institute.